Hooray! The warm weather has arrived, and the whole family can enjoy the sunshine (most of the time). With all that running around the garden and afternoon water fights to help the kids (and you) cool off; you’re going to be working up quite an appetite. 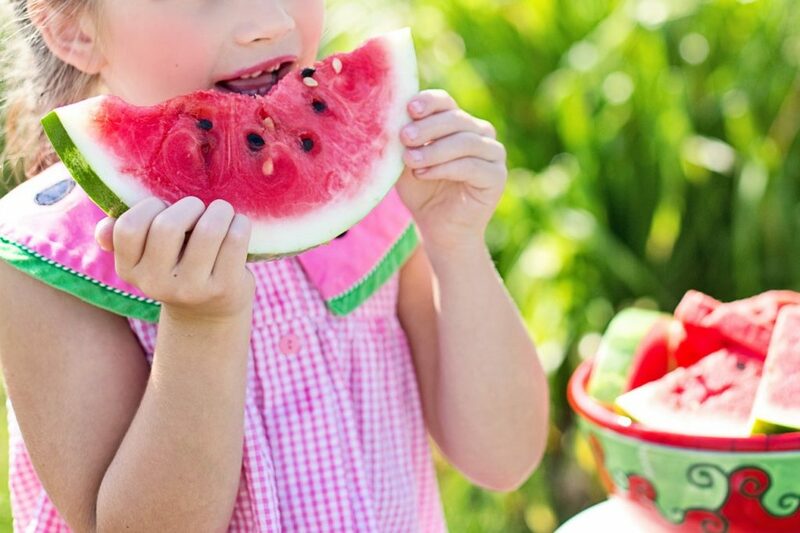 You might want to offer your family more than just the usual supermarket ice lollies, or a bit of beans on toast (although, there’s nothing wrong with a classic), and start switching up meal and snack times over the summer months and school holidays. The following are some ideas to inspire you to give your homemade meals a boost, so sit back with a glass of Pimms, and let’s get going! Now, nobody can guarantee weeks and weeks of pure sunshine in the UK; however, the country does have its moments of pure bliss when it comes to the weather. Therefore, surely you and the family want to get outside as much as possible, to soak up some vitamin D and enjoy the warm summer evenings as the sun goes down. Eating and mealtimes don’t need to be an exception; so grab your plates (melamine unless you’re brave) and cutlery, and start dining outside. Let’s start with the classic BBQ; go and pull it out of hiding and give it a cleanup, and start thinking about what to throw on the coals. There are alternatives to a traditional barbeque set-up; you could grab a few disposable ones from the supermarket, which can be a cheaper alternative (and will save a lot of cleaning up). For simple and quick meals; try various kebabs on skewers. Kids enjoy the novelty of a BBQ as it is, but if you throw a tasty skewer full of food in the mix, they’ll absolutely love it. Kebabs give you the opportunity to provide a well-balanced meal all in one place, and all with that delicious chargrilled flavour, yum. You can obviously start with your meat option, then start packing on cherry tomatoes, peppers, and even a bit of halloumi for a cheesy twist. Get the kids involved in the prep, then sit in the garden and devour your delights together. For the meat connoisseurs; marinades, rubs, and relishes are an excellent way to boost the flavour of your pork, chicken, or beef; so check out how to make a tasty accompaniment and how long to marinate your meat for. You could also recycle your old mayo and jam jars, and start filling them with homemade alternatives, aioli, piccalilli, and BBQ sauces, are scrumptious condiments that taste great with both meat and veggie options. For some recipes and ideas on what to fill your jars with, take a look here: https://www.bbcgoodfood.com/recipes/collection/pickles-jams-and-chutneys and get some inspiration. If barbecuing isn’t an option for you and your family; a picnic will be just as magical and memorable to the kids (and, let’s face it, the adults). You can make a backyard picnic as simple, or as fancy as you like; remember that it’s about being outside with the family and enjoy the weather as you eat (not how good it will all look on Instagram). Get the children to throw the blankets down (they can be quite handy at times), and grab you cheese and pickle, and ham sandwiches, and go and start nibbling the afternoon away. A cheese and biscuit board, some strawberries and cream (totally seasonal) and a bottle of fizz, could be an alternative for an evening picnic for the adults, and you can enjoy the treats by candlelight. As long as you’ve got somewhere comfortable to sit, something to consume, and the weather is still cooperating; you’re pretty much set for a great picnic! Summer is the best time to start enjoying and buying fruit and vegetables; there’s nothing like a crunchy and crispy salad to accompany that barbecued meat and sweet relishes, you made earlier. Colourful salads, whether they’re full of leaves, veg, or fruit, are a flexible and exciting way to ensure the whole family is getting at least their five a day. You don’t have to relegate your veggies to the side of your plate either; they can be the star of the show when it comes to your mealtimes, and the food shop works out much cheaper when meat or fish isn’t involved in every meal. Peas are packed full of protein, so why not try some pea fritters and serve with a crunchy salad, for a healthy balanced meal that the kids will love. Don’t forget; you can still take your plates outside if the weather’s behaving too. If your cupboards are stocked-up with your usually dry, carb-based, ingredients, like pasta, rice, and noodles; you’re pretty much set up to add whatever fresh veg you like. Check out this Quick Veg Noodle recipe to see how easily you can create a healthy and filling meal, that’s full of colour (perfect for summer lunches and dinner). Fresh fruit skewers (wash the ones you used earlier off) are another great way to ensure the kids are getting a colourful diet that’s full of nutrients, fibre, and vitamins. Or, if you’re over skewers already, a fruit salad, or fruit faces, are fun ways to make your little ones smile, and to encourage them to eat a healthier alternative to sweets. Fruit and vegetable smoothies and juices are a great way to cram in some goodness before you take on the school run, and as long as you’ve got the right equipment, you can whizz something tasty up and drink it on the go. For some smoothie ideas, you can take a look here. Smoothies are also the perfect way to use up any ingredients in your fridge that are about to go past their best and don’t forget that you can always freeze certain fresh foods, so you can grab them from the freezer and throw them in the blender with ease. Don’t panic; you don’t have to let anyone loose with dangerous kitchen equipment! However, getting the kids involved in the preparation of their meals and snacks is a great way to teach them about ingredients and flavours, and will be a great activity to use up a morning or a rainy afternoon. Summer is also the best time for cold foods, so it eliminates using the oven or hob (phew); you can worry about them making their own bolognese during the winter. Give you little ones some bowls of chopped fruits and berries, some squash or lemonade, and get them to make their own ice lollies. You can take a look at Jamie Oliver’s strawberry ice lollies here: http://www.jamieoliver.com/recipes/fruit-recipes/strawberry-ice-lollies/. Homemade lollies will contain far less, or no, refined sugars, and you can keep an eye on what goes into them; and they’re not just for kids, as everyone loves an icy treat on a hot day, so get involved. You can chop bananas in half, pop them on lolly sticks, and freeze them. Frozen bananas make a delicious snack on their own; however, to make them into an even better dessert alternative, get the kids to dip them in melted chocolate and sprinkles (for decoration of course), pop them back in the freezer, and enjoy eating when the chocolate has set. You could add dark chocolate, nuts, dried fruit, and seeds, for a more grown-up version too. If you don’t have an ice cream maker, but still have a blender; you can create ice cream in no time. Simply pop your frozen bananas, or yogurts that the kids have picked out, into the blender, and ta-dah! Tasty homemade ice cream or frozen yogurt. 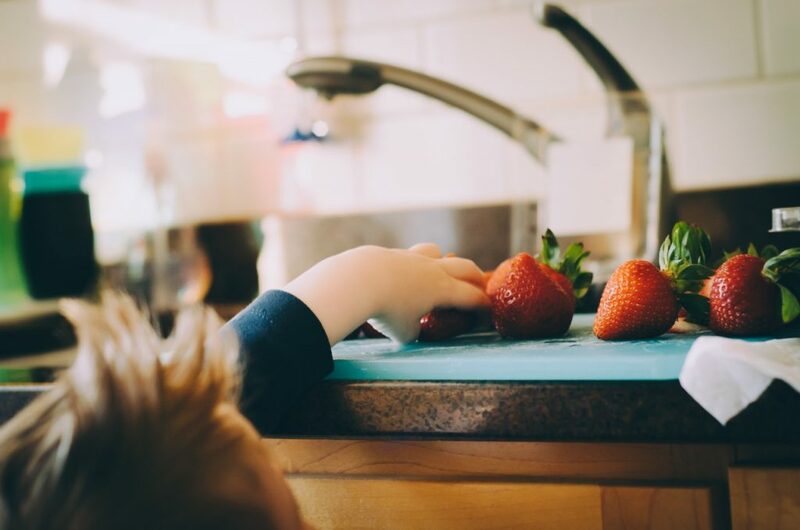 You can provide your children with some berries, chocolate chips, or different sauces, and let them get mixing in their chosen ingredients and creating their own flavours. Again, it’ll be a healthier option than shop-bought brands, and it’s a lovely way to spend some time in the kitchen with your kids. It’s also the perfect time to teach them how to wash up! Now for something cold and refreshing to wash all that food down with; summer drinks are the perfect place to get creative with flavours, and use both homegrown and shop-bought ingredients. Some drinks staples which will go in an array of soft drinks and alcoholic versions are mint, strawberries, cucumber, and citrus fruit. Fill up a pitcher of water with sliced oranges and lemon, and some mint leaves, then leave in the fridge overnight for a heavenly flavored water the next day. 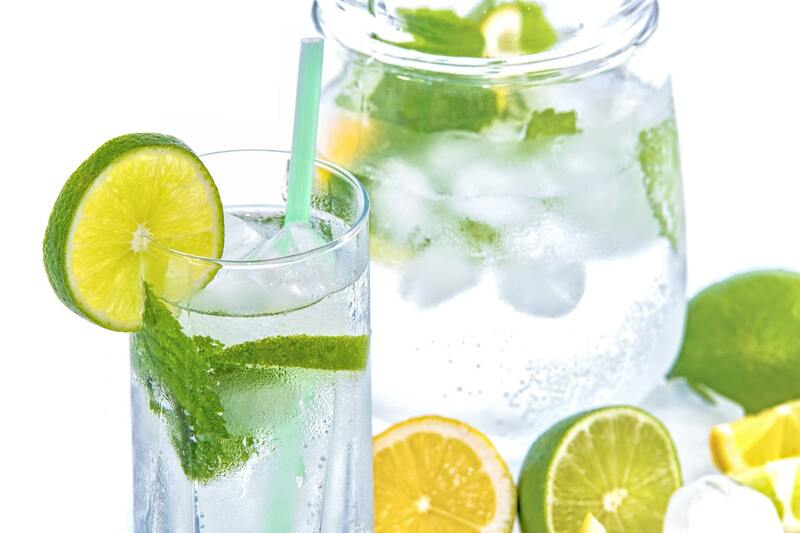 There are loads of affordable, flavoured water recipes, so check some out and switch up your H2O intake. And, of course, there are cocktails (yippee); whether they contain alcohol or you choose non-alcoholic options; a summer fruit cocktail is always a refreshing and healthier alternative to cola and beer. 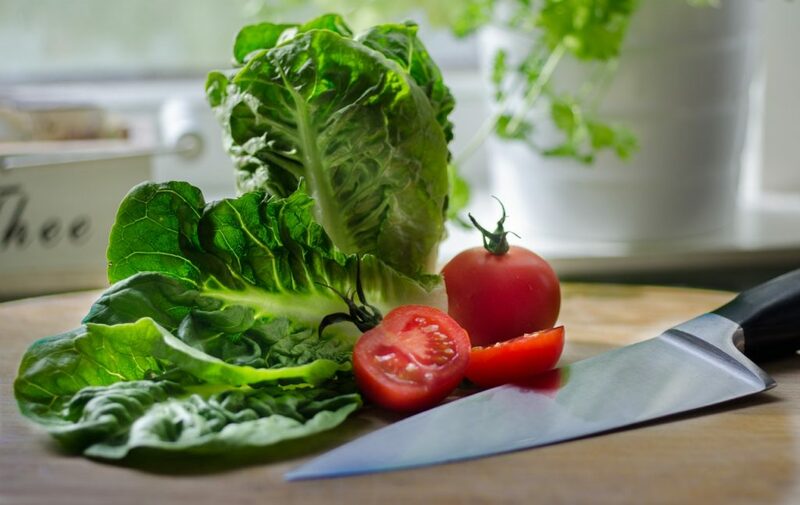 So step into your kitchen this summer, and start chopping and slicing your way through some colourful, fresh ingredients, and you’ll ensure that your family is eating a healthy and delicious menu each day.